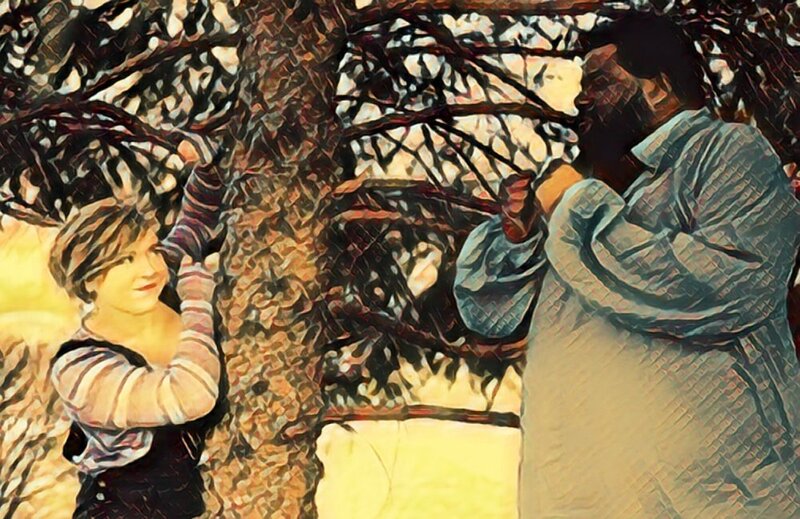 Actors have begun rehearsals for The Selfish Giant, which runs in June at Otherworld Theatre in Lakeview. Tickets are on sale now for The Selfish Giant, a physical theatre production that will mesmerize audiences of all ages. This story of a giant who builds a wall to keep children off his land runs during the month of June at Otherworld Theatre and is geared toward all ages. Tickets are available through Brown Paper Tickets and are $5 for children, $10 for adults or $25 for a family of four. You can also obtain tickets through our Go Fund Me Campaign. The Garden, Ogre, North Wind and Giant levels all come with tickets to the show, along with a host of other goodies. Learn more Becoming a Generous Giant for Children's Theatre here. Based on Oscar Wilde's short story of the same name, The Selfish Giant illustrates the perils of isolation and the negative consequences of selfishness, but it also teaches us that it is never too late for redemption and for love. Donate to children, earn a reward! Did you know we’ve put together some very special gifts for the donors to our The Selfish Giant fundraiser? From growing your own garden to headshots and more. Read all about the show here and then go donate here. By donating you help keep our ticket prices affordable for all families in Chicago. $25 GARDEN LEVEL: Start your own urban garden with a Grow Your Own Garden Kit and receive a ticket to the show, as well as thanks in our program. $100 or more GIANT LEVEL: A Nightlight Gift bag, featuring your choice of a Nightlight T-shirt or tote bag, among other items, plus two tickets to The Selfish Giant as well as thanks in the program. Ghostlight Ensemble presents the next installment of its ongoing live movie reading series with Don’t Call Me Junior: A Live Reading of Indiana Jones and the Last Crusade. So dust off that brown leather fedora, get that whip cracking and join us at 7:30 p.m. on Monday, May 6 at Carbon Arc Bar & Board (4614 N Lincoln Ave, Chicago, IL 60625), located in the Davis Theater in North Center, to celebrate the 30th Anniversary of the movie’s release. Indiana Jones and the Last Crusade is a 1989 American action-adventure film directed by Steven Spielberg and is the third installment in the Indiana Jones franchise. It was release in the United States on May 24, 1989. In Last Crusade, the intrepid explorer Indiana Jones sets out to rescue his father, a medievalist who has vanished while searching for the Holy Grail. Following clues in the old man's notebook, Indy arrives in Venice, where he enlists the help of a beautiful academic, but they are not the only ones who are on the trail, and some sinister old enemies soon come out of the woodwork. 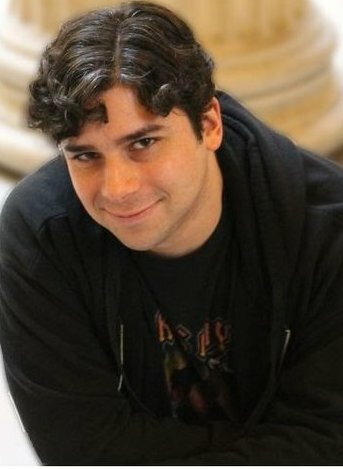 The live reading is directed by Chad Wise. There is a suggested donation of $5 at the door, which will help Ghostlight fund its upcoming season. Every theatrical production involves a team of artist on the stage and behind the scenes to bring the stories you're seeing to life. Most of these people perform, design and build without ever being paid for their efforts. At Ghostlight, we strive to provide everyone with an stipend to help offset the costs of traveling to rehearsal and performances or running all over town to gather materials for costume, set and properties construction. That's not always an easy task when trying to provide affordable family-friendly entertainment with rental rates in Chicago at all-time highs. We hope you'll help up reach our goal by supporting theater for young audiences. Find out more about The Selfish Giant and our campaign here. Ghostlight is seeking a Stage Manager and a Costume Designer for its production ofThe Selfish Giant, an adaptation of the Oscar Wilde short story told through physical theatre. The production is geared toward young audiences. To apply for any of the jobs listed below, submit a resume and statement of interest to Production Manager, Chad Wise at chad@ghostlightensemble.com. Please put the job you are applying for in the subject line. In addition to the usual duties, the stage manager will be required to act as light/sound board operator for performances. Sourcing or constructing single costume for a cast of 11, with an emphasis on flexibility for movement, while keeping in mind this is a production for young audiences in which actors take on multiple roles and build the world with their bodies. Rehearsals will be held on week day nights and weekends in April and May, with a short tech. Performances run June 8-30 at 1 p.m. on Saturdays and 11 a.m. on Sundays at Otherworld Theatre in Chicago. 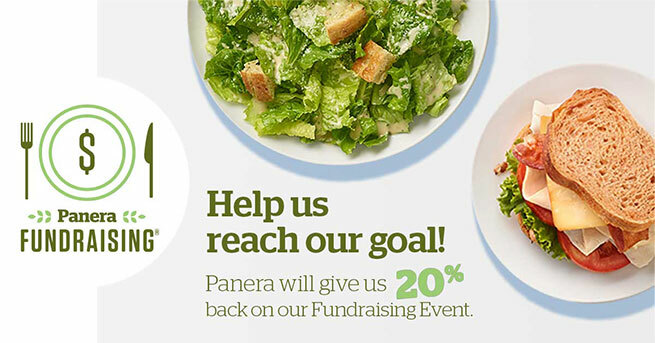 Support Ghostlight in March by grabbing dinner at Panera! On Thursday, March 21, make plans for dinner with us at Panera at 501 S. State St. in Chicago. Bring in a copy of this flyer or show an electronic version of it anytime between 4 p.m. and 9 p.m. on Thursday, March 21, and Ghostlight will receive 20 percent of sales from your order. You can dine in, get it to go or have it delivered. If you’re ordering online for rapid pick-up or delivery, make sure to enter "PRFUND" as your Promo Code to have a portion of your proceeds donated to Ghostlight. Let's G.E.T. Crafty! 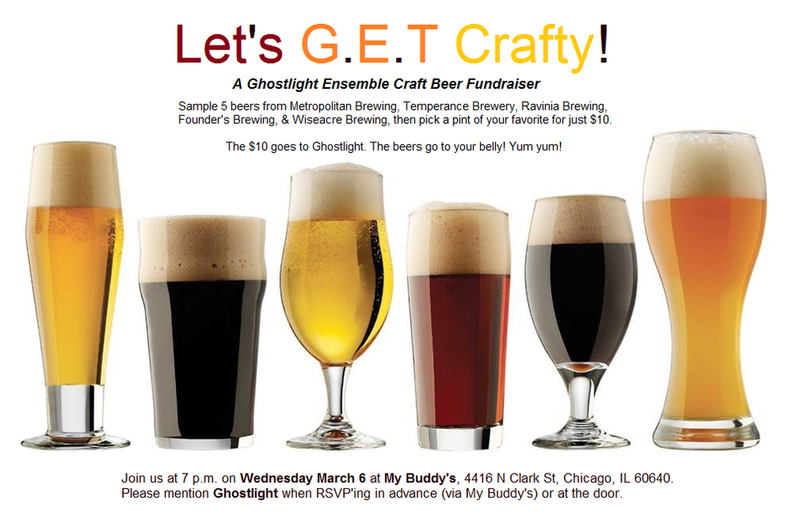 is a Ghostlight Ensemble Theatre craft beer fundraiser at My Buddy's. Join us on Wednesday, March 7 at 7 p.m. to sample five craft beers, then have a pint of your favorite -- all for just $10. The money goes to Ghostlight, the beer goes to your belly! You can RSVP to My Buddy's via their Facebook page here to reserve your spot, or try your luck at the door. Either way, please mention Ghostlight Ensemble when you do! Ghostlight Ensemble announces auditions for our summer show The Selfish Giant, written by Maria Burnham, directed by Maria Burnham and Miona Lee and based on Oscar Wilde’s short story of the same name. The Selfish Giant is part of our Nightlight young audiences series and illustrates the perils of isolation and the negative consequences of selfishness, but it also teaches us that it is never to late for redemption and for love. Seeking a strong, ethnically diverse cast of all genders, ages, shapes and sizes, who love a good story and who have an imagination to rival any 5-year-old. Additionally, actors with strong movement backgrounds are encouraged to audition. 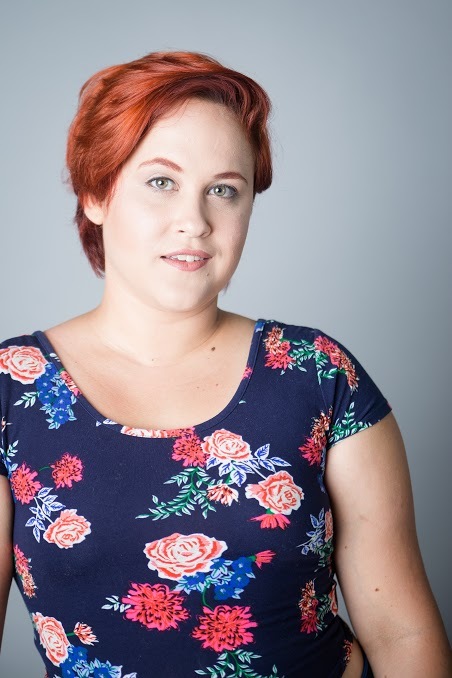 This production will use a chorus of actors to embody not just the human characters in the story, but the mythical ones, as well as inanimate objects. This is NOT a dance piece. 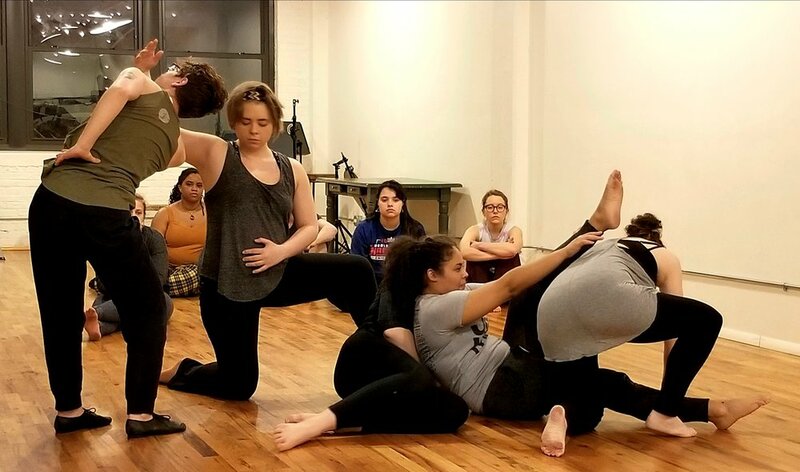 It is physical theater that relies almost completely on the ensemble of actors telling the story with their bodies and voices. 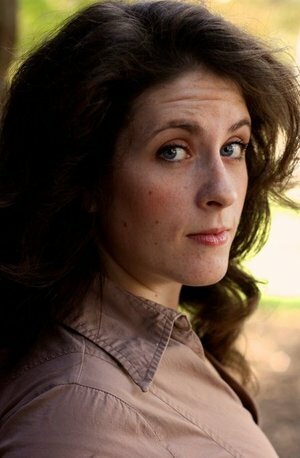 Please submit your headshot and resume to Jean, and she will be in touch with sides and an audition appointment. Dress for movement and bring your sense of play. Saturdays at 1 p.m. & Sundays at 11 a.m., June 7 to June 30 at Otherworld Theatre, 3914 N Clark St, Chicago, IL 60613. You MUST be available for callbacks. If you are not available for callbacks, do not submit to this audition. However, you do not need to be available for this entire time. Auditions and call backs will be held at Otherworld Theatre. Rehearsals will be scheduled around cast availability taking place 3 to 4 times a week during weeknights and weekends. However, as this is an ensemble production utilizing the entire chorus to tell the story, all actors will be called for all rehearsals. If you have extremely limited availability during April and May, we kindly ask that you do not submit. Send your headshot and resume to Jean at casting@ghostlightensemble.com. With the cast of Clueless in town for C2E2, what better time to brush off the 1995 rom-com script and give it a unique, Ghostlight Ensemble treatment?! So dig out your plaid skirts and knee-high socks and join us at 7:30 p.m. on Monday, March 25 at Carbon Arc Bar & Board (4614 N Lincoln Ave, Chicago, IL 60625), located in the Davis Theater in North Center. Clueless is loosely based on the Jane Austen novel Emma and tells the story of a shallow, rich and socially successful girl at the top of her Beverly Hills high school's pecking order who sees herself as a matchmaker. She takes on a "tragically unhip" new girl at school as a pet project, initiating her into the ways of the popular kids. But things backfire on her when the new girl surpasses her in popularity. Hijinks and love debacles ensue. After the live reading, Carbon Arc will be playing the movie Clueless, so stick around for a side-by-side comparison! Tipsy Time: The Holidays are here! Tickets are on sale for our late night Holiday Cabernet set for Friday, December 14 at My Buddy's. Enjoy an evening of holiday classics (or not-so-classics) by favorite G.E.T. 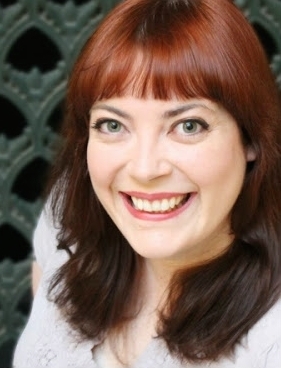 (that's Ghostlight Ensemble Theatre) performers, emerging artists and surprise guests in a cabaret-style setting hosted by everyone's favorite foul-mouthed Ghost of Christmas Spirits Past, Present and Future, Miz Caitlin Jackson. The evening includes a wide variety of acts ranging from musical to clown to more traditional theater. And it wouldn't be the Holiday Cabernet without a good dose of holiday cheer in a glass. So get into the holiday spirits and join us for a late night of song, theatre, good cheer and revelry. G.E.T. yule holiday fun on! Ghostlight Ensemble brings back the popular Thanksgiving installment of its ongoing live movie reading series, Must Eat TV 2: A Live Reading of Your Favorite Thanksgiving Episodes. Thanksgiving is all about stuffing yourself silly with family and friends; screaming matches over politics with your great uncle Carl; giving thanks; and television. So join your Ghostlight family, friends and great uncle Carl for a celebration of everyone's favorite eating holiday. The lineup features selections from New Girl, How I Met Your Mother and Cheers at 7:30 p.m. Wednesday, November 14, 2018, at My Buddy’s. The live reading is directed by Miona Lee. There is a suggested donation of $5 at the door, which will help Ghostlight fund its upcoming season, AND a non-perishable good or additional cash donation to benefit Common Pantry, of North Center. Find out more on the show page! Ghostlight Ensemble will tackle the age-old debate of which is more valuable to society: art or science with its fall production, Picasso at the Lapin Agile. The absurdist comedy by American humorist Steve Martin imagines a meeting between Albert Einstein and Pablo Picasso in a Parisian cafe in 1904, just before the renowned scientist transformed physics with his theory of relativity and the celebrated painter sets the art world afire with cubism. Ghostlight’s production will explore the struggles and similarities between science and art, but also between genius and fame, big ideas and mere notions and optimism of the new and skepticism of the familiar. “The play imagines the absurd and mundane in the lives of two men who really did go on to impact the world and alter history,” Director Holly Robison said. “With Picasso, we are asked to consider the men as much as the myth, to see their flaws, silliness, insecurities, hopes and dreams, as much as their towering legacies. The mythic men are humanized. We can see ourselves in them and understand their desires. The show stars: Maggie Antonijevic (The Countess/Female Admirer), Norman J. Burt (Charles Dabernow Schmendiman), Zach Finch (Albert Einstein), Joe Dougherty (A Visitor), Sean Harklerode (Gaston), Miona Lee (Germaine), Tim Lee (Freddy), Kat Moraros (Sagot), Sebastian Summers (Pablo Picasso) and Alejandra Vivanco (Suzanne). Picasso at the Lapin Agile runs October 19, 2018, through November 4, 2018, at the Otherworld Theatre’s new home at 3914 N. Clark Street in Chicago. Performances are Fridays and Saturdays at 8 p.m. and Sundays at 2 p.m. with one industry evening performance at 7:30 p.m. on Monday, October 22, 2018. Tickets are $20 General Admission, $15 Seniors and Students and available in advance through Brown Paper Tickets. Picasso at the Lapin Agile is presented by special arrangement with Samuel French, Inc.
Find out more about Ghostlight Ensemble and its entire 2018-2019 Season here. 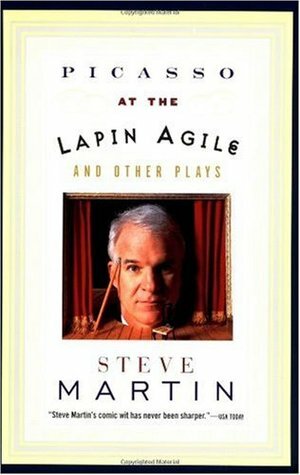 Ghostlight Ensemble seeks a Stage Manager for the run of its production of Steve Martin's Picasso at the Lapin Agile. The absurdist comedy imagines a meeting between Albert Einstein and Pablo Picasso just before the renowned scientist transformed physics with his theory of relativity and the celebrated painter sets the art world afire with cubism. This position is only needed to fill tech week and performances, not rehearsals. The performance stage manager will begin attending rehearsals no later than October 12 or 13, taking over from the current stage manager, who will meet with the candidate and provide updated cues and notes at a paper tech, which will be scheduled according to availability. Tech week is October 15-18, evenings only. Load-in is scheduled for Sunday, October 14. Performances run October 19 through November 4, 2018, on Friday and Saturday at 8 p.m. and Sunday at 2 p.m. with one industry performance at 7:30 p.m. on Monday, October 22. All performances are at Otherworld Theatre in the Lakeview neighborhood in Chicago. A small stipend will be available for this position. More information about the production is available on the project page. Please send your resume and a statement of interest to production manager Chad Wise at chad@ghostlightensemble.com. Ghostlight Ensemble presents the next installment of its ongoing live movie reading series: Oh My Godddddd!! : A Troll 2 Live Reading. Join us at 7 p.m. on Tuesday, October 9, 2018, at My Buddy's (4416 N Clark St., Chicago, IL 60640) to kick your season of Halloween celebrations off to a frightful start — not because the movie is scary, just scary bad. Troll 2 is a 1990 horror film that has nothing to do with trolls or the movie to which its title claims to be a sequel. The plot concerns a family pursued by vegetarian goblins who seek to transform them into plants so that they can eat them. It is widely considered to be the worst film ever made. The reading is directed by Christopher Paul Mueller. There is a suggested donation of $5 at the door, which will help Ghostlight fund its upcoming season. Costumes are encouraged. Ghostlight Ensemble seeks a Costume Designer for its production of Steve Martin's Picasso at the Lapin Agile. The absurdist comedy imagines a meeting between Albert Einstein and Pablo Picasso just before the renowned scientist transformed physics with his theory of relativity and the celebrated painter sets the art world afire with cubism. This production will involve sourcing costumes for 10 actors. The play takes place in a single location on a single day. Rehearsals begin September 10, 2018, with about 3 to 4 rehearsals a week on weeknights and weekends, crafted around the actors' schedules. Tech is scheduled for October 15-18 in the evenings. Load-in is scheduled for Sunday, October 14. Performances run October 19 through November 4, 2018, on Friday and Saturday evenings and Sunday afternoons at Otherworld Theatre in the Lakeview neighborhood in Chicago. The stipend for this position is $150. Please send your resume, links to any relevant work/websites and a statement of interest to production manager Chad Wise at chad@ghostlightensemble.com.